The firm's El Museo del Barrio exhibit design project is featured in the "Latino Art in the City" slide show appearing today on the Times' website. 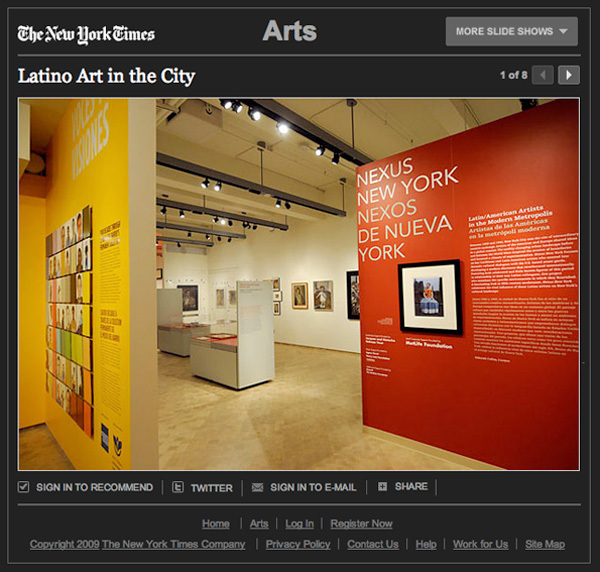 The online interactive, part of an article reviewing the re-opened museum, opens with a shot capturing the introductory panels for the exhibits, "Voces y Visiones" and "Nexus New York." View the slide show here and read the related article reviewing the Museum's inaugural exhibition here .